Beginning hospice for the first time can seem daunting with the bevy of information available online and the sheer number of hospices to choose from. Here is a quick breakdown on getting started with hospice care and how the process comes together. 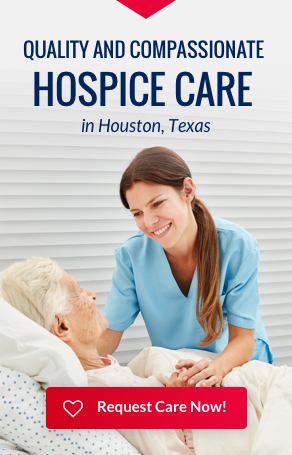 Hospice care for families is often available through insurance such as Medicare, Tricare, and several private insurers. To obtain care quickly you simply contact the hospice of your choosing and they will work with your insurer to provide the services you need today. Usually you will call for a consultation and a representative will be sent out to explain everything about the process and what it means. An admission will then be performed by a Nurse to accept the patient into hospice once they have been deemed hospice appropriate by the Doctor. You can be in a nursing home, or at home. Typically patients are in one or the other. We come out to see you in your setting. You are placed under the care of a Doctor, Nurse, sometimes an LVN (Licensed Vocational Nurse), a CNA (Certified Nursing Assistant), a Chaplain, and a Social Worker. Typically either your doctor is a part of the hospice and meets weekly with the care team or you can be assigned a doctor to work with. This can actually increase the quality of care since doctor visits are typically quarterly or monthly. Weekly visits from nurses and CNAs make up the bulk of care you receive. Nurses will check your condition and CNAs (Certified Nursing Assistants) will take care of daily activities such as bathing, feeding, clothing, etc. They also provide a comfort pack to mitigate pain. If you have any questions for the doctors they can be relayed through the nurses or CNAs. If you need spiritual support or social support a Chaplain or Social Worker are available to assist you. Typically you can meet with the either over the phone or they can come to visit in the event that it is more convenient. These are lesser known, but vitally important roles that round out the care team. Those are the basics of how care is delivered to you, how to get hospice care, and the basics on how it functions to help patients provide a higher level of care than normal. If you or a loved one have questions about hospice or are seeking hospice care feel free to send us a request and we will get back to you asap.